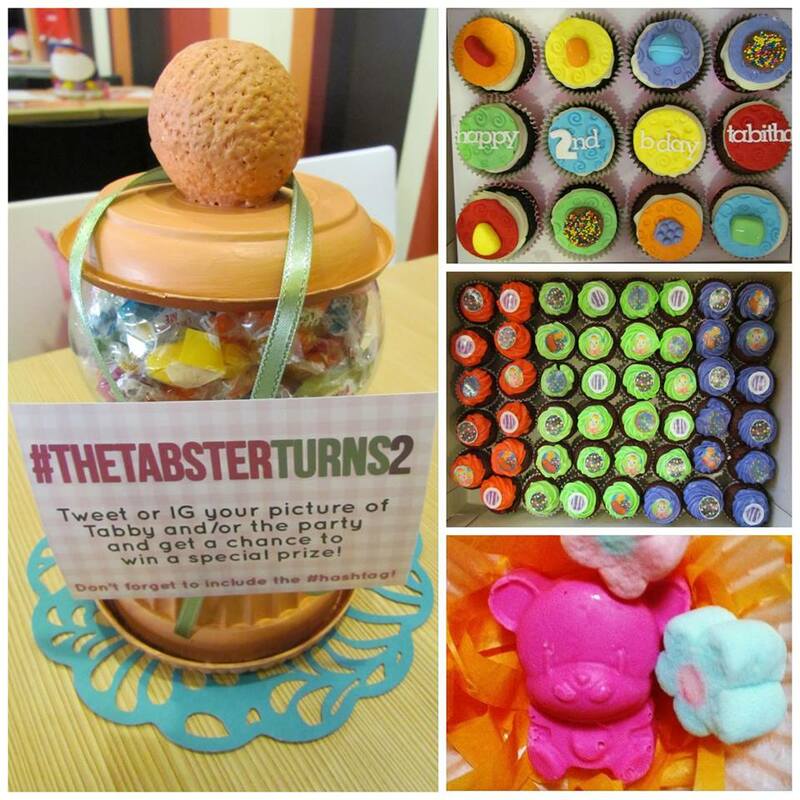 Event Stylist: Party Styling Divas: Tabby Turns Two! Our baby girl turned two! The girls wanted a simple celebration so they decided to hold a "family and close friends" only party at Mcdo! It was a "Candy Crush" themed party so we "hired" ourselves, Party Styling Divas, to do the centerpieces et al. We were not able to really decorate the party venue because it was against McDonald's policy. For the centerpiece, D3 created a candy-filled dispenser, mini ceramic pots with wafer sticks, marshmallows and everything sweet! The cake was not exactly a "cake" but mini red velvet cupcakes topped with fondant candy crush designs. For party favors, I made some colored "chocolates" in cute animal shapes, than wrapped them in colorful Japanese paper, cellophane and ribbons. The party did not turn out as we planned it to be - simple and non-stressful. The party turned out to be a parteee.. so many people came! The staff of McDonald were on their toes! I think everyone enjoyed themselves. Who wouldn't? Everyone was high on sugar!